PETA donations were used to kill kittens in 2017. Among the dead are 9-week old kittens, 10-week old kittens, 4-month old kittens, and young, healthy cats, some killed in minutes. 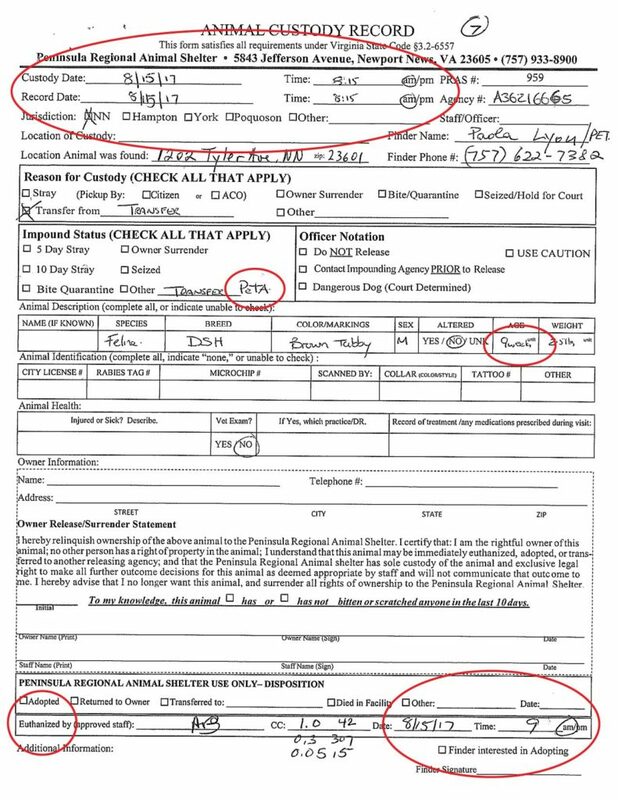 In 2017, PETA continued to act as the functional equivalent of a slaughterhouse, with more than 1,800 defenseless animals dying at the hands of their employees. 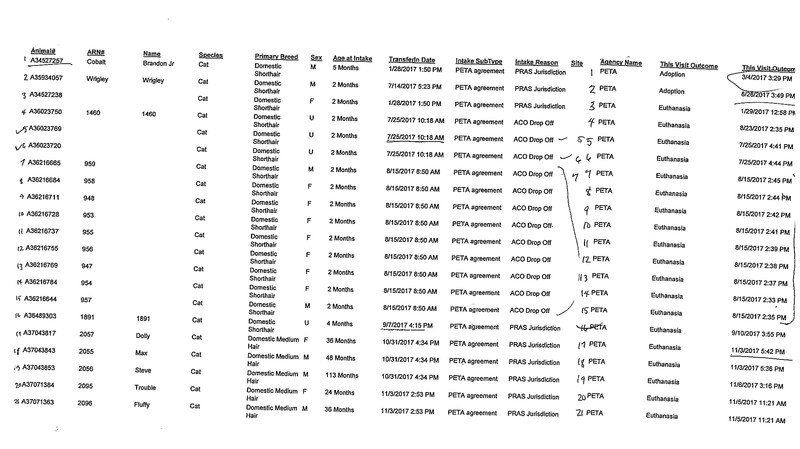 Just released records submitted to the Virginia Department of Agriculture and Consumer Services (VDACS) by PETA add 1,842 companion animals to the 32,744 documented killings we know have occurred so far at the hands of PETA employees. Tragically, for yet another year, officials at that agency who are tasked with oversight of the Virginia shelters continued to look the other way while PETA killed the vast majority of animals it took in and sought out, including 1,213 cats out of 1,487 cats, 596 out of 956 dogs, almost all the chickens, and more than half of all wild animals it took in.